a. It reduces your shoulder pain, inflammation, and stiffness -- all crucial stepping stones to recovery. By increasing the local metabolic rate right at the physiological level of the tendon, it encourages lymphatic drainage, which helps to clear the area and aid healing. As it stimulates tissue healing, TenDlite® regulates serious or chronic shoulder tendonitis inflammation and decreases swelling and bruising of the rotator cuff area. b. It repairs and regenerations the shoulder tendon -- connective tissue is rebuilt at the cellular level by TenDlite® Fibroblast cells, important cells for wound repair in tendons, start the process of restoration by producing new collagen, which increases flexibility, elasticity and strength. Tendons are made from matrixes of fibroblasts, containing 86% collagen -- that's why fast collagen production, like TenDlite® promotes by activating the body's own healing process, is the answer for damaged rotator cuff tendons. TenDlite® increases collagen production in the area up to 60%, which is key to the complete recovery of your shoulder tendonitis. Our 5 Steps Shoulder Tendonitis Treatment will consistently decrease your pain after only 3 weeks, although the tendon often takes at least 6 weeks without the help of this therapy. It's a drug-free and surgery-free tendonitis treatment that has already aided many shoulder tendonitis sufferers in finding relief. In some severe cases of tendonitis, it will require a year of proper healing. However, the good news is: shoulder tendonitis can be cured! The First Aid Phase and the Repair & Regeneration Phase. 1. R.I.C.E. - Commence your shoulder tendonitis treatment by giving your joint the first aid it needs. The first aid is quite simple, but extremely important! Your shoulder needs it for successful healing. All you need to remember is the well-known sports medicine acronym R.I.C.E. : Rest, Ice, Compression, and Elevation. These four steps should start right away, and all four should be kept up at once. First things first, stop all of the activity that is causing your pain. You need to rest the shoulder area for a minimum of 3 weeks. A consequence of failing to rest is the risk of irregular repair of the tendon, which can cause more trouble down the road, leading to chronic inflammation. It's extremely important that your tendon gets this break -- a vacation from the aggravating activity is just what it needs to start healing. Apply a cold treatment, such as a cold pack from your freezer, immediately after you were injured or re-injured, for 20 minutes minimum, 30 minutes maximum, three times a day. This is only for the first two days. Ice is a natural anti-inflammatory, and should bring the swelling down as well as the pain, as it numbs the area. Compression is used to reduce the swelling caused by the inflammatory process happening in the area. All it requires is a bandage -- a basic, easy-to- find first aid item. Wrap it lightly, but snugly, around the joint. There should still be room for proper blood flow and expansion of your muscles when they contract. Plastic bandages can get too tight, leading to reduced and restricted blood flow (ischemia); elastic bandages are your best bet for a good fit. The Elevation step refers to keeping the injured tendon above the level of the heart. The shoulder seems naturally elevated to this level; however, keeping it comfortably pillowed higher while it's healing will still help to reduce swelling by increasing the return of blood to the circulation system. Besides the reduction of this edema, the fresh circulation also helps to get rid of waste from the area, which aids healing even further! 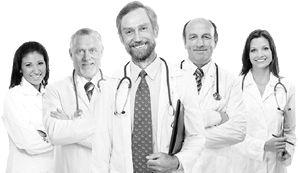 After the injury has been treated with the First Aid Phase for the first couple of days, or any time after the injury is already chronic, the Repair & Regeneration phase can begin. Now that you've diminished the swelling in the surrounding area, it's time to cure the tendon. Give supplements a try. Omega-3 supplements have been shown to help battle the tendonitis from the inside out, and are a good way to steadily maintain tissue health. Omega-3 lowers the amount of inflammatory markers your body produces, reducing the inflammation in your joints and muscles. By using a brace on your shoulder, you'll lessen strain at the affected tendon or tendons, which will help to avoid provoking its painful responses and avoid more damage -- that is, as long as the brace itself isn't uncomfortable or painful! Make sure it's brace is properly fitted according to instruction. Rehabilitation is the re-strengthening of your joint and all of its structures. Start by using a very light resistance, managing your motion slowly with every time. After the initial motions gently stretch the muscles involved in your injured shoulder: the rotator cuff and bicep. Keep up this simple daily rehab process for 3 weeks. Evaluation - How does your shoulder feel now? If you still feel pain after 3 weeks, rest and repeat steps 1 through 4 for another 3 weeks. If your tendon feels better and stronger, you can move right along with your rehabilitation. Continue using your TenDlite therapy daily. By now, you should be ready to get back to your regular activities! You don't want to dive in too strongly, however. You want to make sure your shoulder is prepared for getting back to exercise. Always warm up your shoulder tendon before exercising. 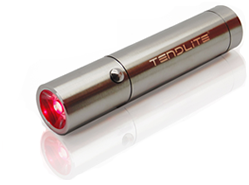 After exercising follow up by stretching it out and doing 1-2 minutes of TenDlite® therapy. This will ensure the tendon is getting the important stimulation necessary to produce collagen, return complete flexibility, and avoid scar tissue. Using this therapy after exercise is an easy way to keep you injury-free and avoid chronic shoulder tendonitis. If your pain persists following this shoulder tendonitis therapy, visit your doctor for further examination of your condition. How long will recovery from tendonitis take? It depends on the severity of the injury. It may take weeks to months to repair. With the proper steps and care, it can be done! These could be signs of a medical problem that requires immediate attention.